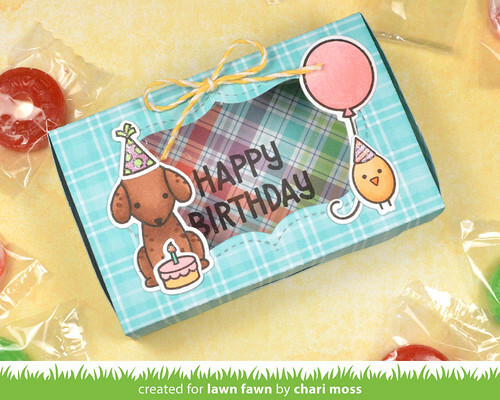 Today I have a video to share showing how to make this cute Birthday Treat box with a sentiment inside. You can check out the video tutorial below, on my YouTube channel or on the Lawn Fawn YouTube Channel as well. This is just precious Chari, I love it!